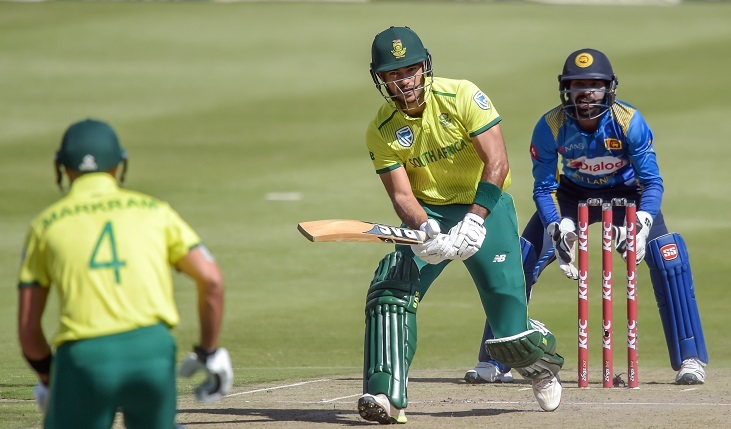 South Africa scored 198-2 in 20 overs against Sri Lanka in the third and final Twenty20 international at the Wanderers Stadium on Sunday. It is South Africa's last match of their home season. Sri Lanka won the toss and sent South Africa in to bat. It is South Africa's last match of their home season. South Africa 198-2 in 20 overs (R. Hendricks 66, D. Pretorius 77 not out, J. Duminy 34 not out). Match situation: Sri Lanka need 199 runs to win.